Burnouts, smoke, sideways action in the fields with a supercar. Yes, TaxTheRich is back! 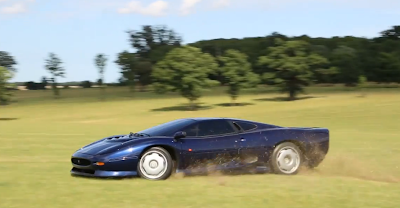 This time he pushes like we have never seen before a Jaguar XJ220, a very limited supercar that is known also for its record as the world's fastest road production car in 1992. Enjoy the madness! It is so lovely and elegant,just like my favorite remote control helicopter!